The most recent count of the northern resident group of orcas reported 309 whales, more than four times the number of southern residents. 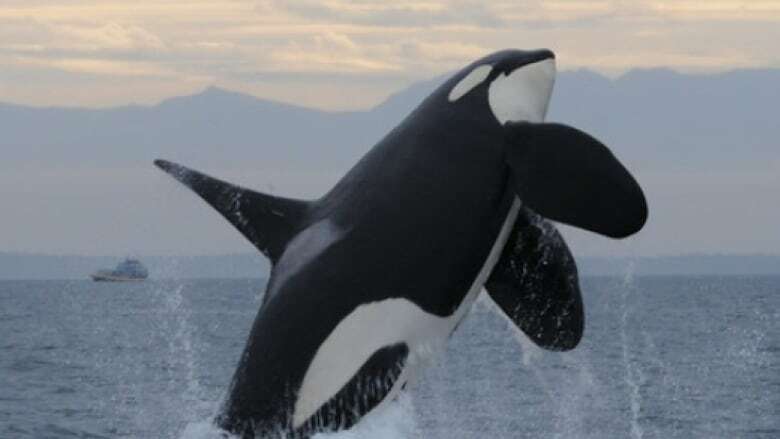 As concern grows over the decline of the southern resident killer whale population following the presumed death of the young female J50, the story off B.C. 's north and central coast is much different. "The northern killer whale population is doing much better… [and] doesn't seem to be going through the same slow decline," said Lance Barrett-Lenard, head of the cetacean research program at the Vancouver Aquarium. Both populations feed on chinook salmon as their primary prey but Barrett-Lenard said the northern whales have less competition and more options to choose from, with fish returning to the Skeena River, Nass River and Owikeno Lake. "If one system is bad… our northern residents have the opportunity to shift their focus to fish returning to another system," Barrett-Lenard told Daybreak North host Carolina de Ryk. "In the case of the southern residents, however, that population is really dependent on chinook bound for the Fraser River and to some extent the Columbia [River] … When those systems are down it doesn't have anywhere to go." He said with stocks of chinook declining across the province, northern residents could very well face the same fate. He noted their population growth has begun to taper off after keeping a steady rate for the past 30 years. Another possibility his colleagues have considered is that the northern whales might take over the southern residents' territory if the latter were to die out. Barrett-Lenard said the disappearance of the southern residents would be a huge loss of cultural significance for the province. "As people, we value diversity. We value the diversity of Indigenous groups, we have words like cultural genocide, we're very concerned if a language is lost. In the same way I think we recognize that these killer whale populations are ancient, unique, distinct cultures," he said. "If one of them goes, it will eventually be replaced in space by another one — but once it's gone, it's gone forever. We as humans have made this value judgment that we don't want that to happen." To protect and sustain the northern resident killer whales, Barrett-Lenard said people must me mindful of the factors that have caused the decline of their primary food source. "Certainly, climate change is important; preserving those estuarine​ and river spawning habitats is incredibly important; and keeping our own monitoring and management of our fisheries is important," he said.